The week of your birthday we will give you 4 passes to the Friday 7:15PM Show. Reservations are required. 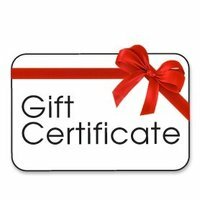 Comedy Castle Gift Certificates are the perfect gift! These little paper wonders are great for corporate gift giving, super for the boss who never cracks a smile, and awesome for the pal who hates just about everything. Know of a couch potato who never leaves the house?